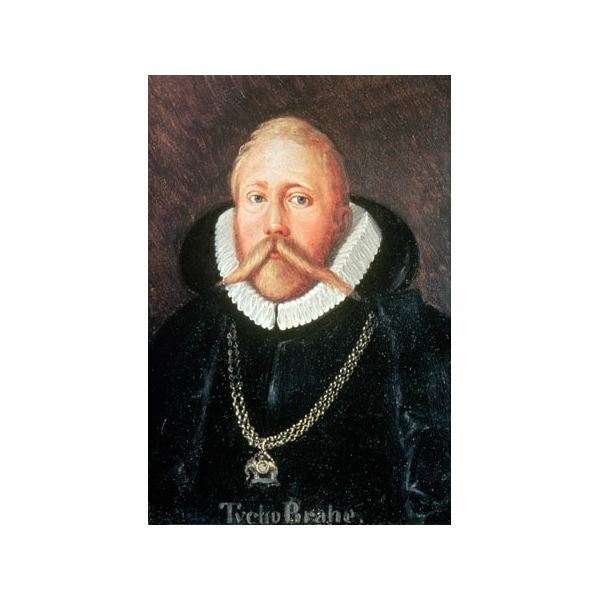 Tycho Brahe is considered one of the founders of modern astronomy. He began his studies in Astronomy in 1560 and in 1572, his observations of the supernova in Cassiopeia landed him respect in the field. Tycho was a proponent of observation and accuracy in observation and he became much sought after in Europe. 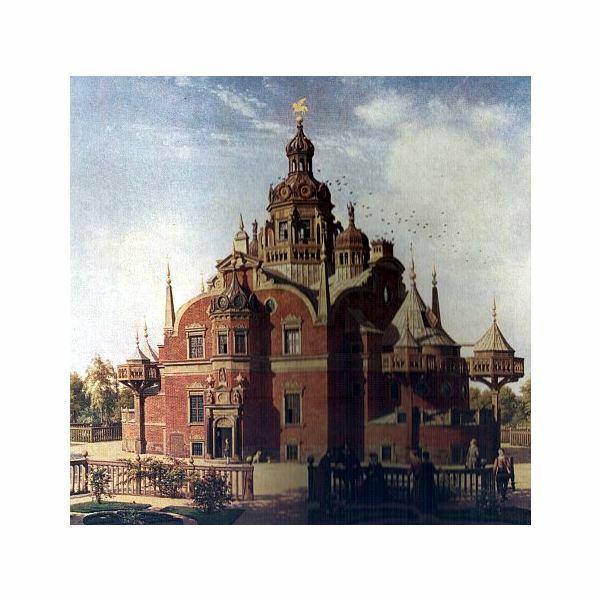 In 1574, in order to keep him in Denmark, he was given the Island of Hven by King Frederick and commissioned to build an observatory there which was completed in 1576. 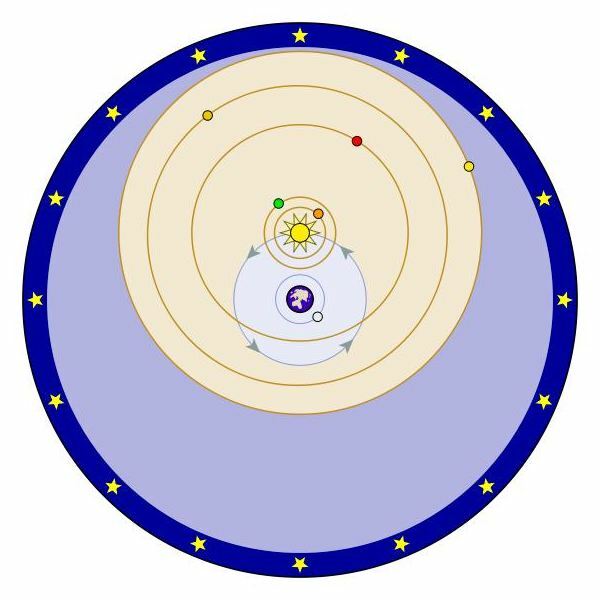 Tycho’s observations of the heavenly bodies were the most accurate of the pre-telescopic astronomers and his laws of planetary motion inadvertently helped to propagate the heliocentric theory of the solar system suggested by Copernicus. 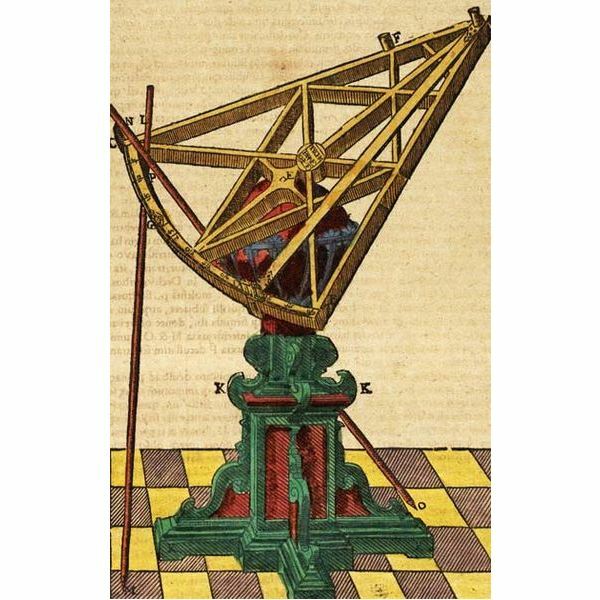 Tycho himself was not a supporter of Copernicus in his model of the solar system but he did concede that the model was mathematically superior to any that had come before. He set about to combine the mathematical superiority of Copernicus with a Earth-centered model. Despite the persuasions of Kepler to accept a heliocentric model, Tycho refused on logical mathematically-based grounds until his death, however his geocentric model differed from others in that the orbit of the Sun around the Earth crossed over the orbit of Mars. In later years, observational analysis forced him to revise this model. instruments, which revolutionized the study. Among his instrumentation was an array of quadrants used primarily to measure altitude, the great azimuth semicircle for measuring azimuths, the parallactic instrument for zenith distances, the armillary spheres for pinpointing coordinates, and the astronomical sextant to measure distances between stars. The genius of these instruments helped to further the scientific age throughout Europe. It was not fashionable to refer to someone by only their surname in Scandinavia during this time, so when using a singular name, he is called Tycho and not Brahe. He was raised by his paternal uncle, Jörgen Brahe and aunt, Inger Oxe at the castle of Tosterup but he spent a lot of time with his other relatives at Herrevadskloster Castle. Began his studies first in Latin, Law, and Philosophy, but was so struck by a partial eclipse of the sun on August 21, 1560 that he decided to study astronomy. Had no permission in Leipzig to study astronomy but was allowed to continue because of his success. In 1566 was wounded in a duel over who was the greatest mathematician of all time. He covered the scar on the bridge of his nose with a silver/copper plate. Uranaborg Institute on the Island of Hven cost 5% of the entire GNP of Denmark, the most expensive of the time. Tycho Brahe once held a full 1% of Denmark’s wealth and threw lavish parties. Tycho had his own court jester, a dwarf named Jepp, whom he believed was psychic. Had a love of alchemy and his own personal lab in the basement of Uranaborg. Has two craters named after him – Tycho on the Moon and Tycho Brahe on Mars. His body is currently entombed in the Church of Our Lady in front of Týn in Old Town Square near the Prague Astronomical Clock.